Are you feeling a little bit sluggish and your skin is looking dull after all those Xmas celebrations? No worries, I know a last minute face mask that will bring back the glow to your complexion. Just in time for your new year's eve celebration. The best part is, you don't have to spend any money because all you need is already in your kitchen cupboards. Why these ingredients? They work wonders on your skin. 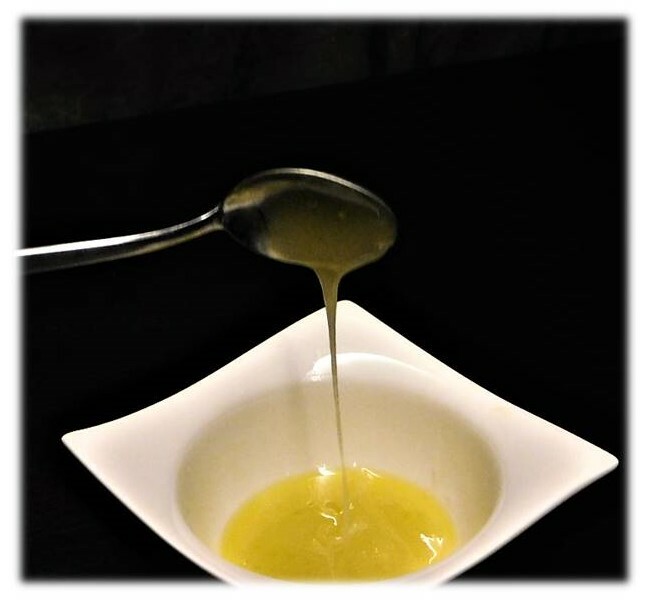 Olive oil, as well as honey, have moisturizing properties to make your skin soft, smooth and hydrated. 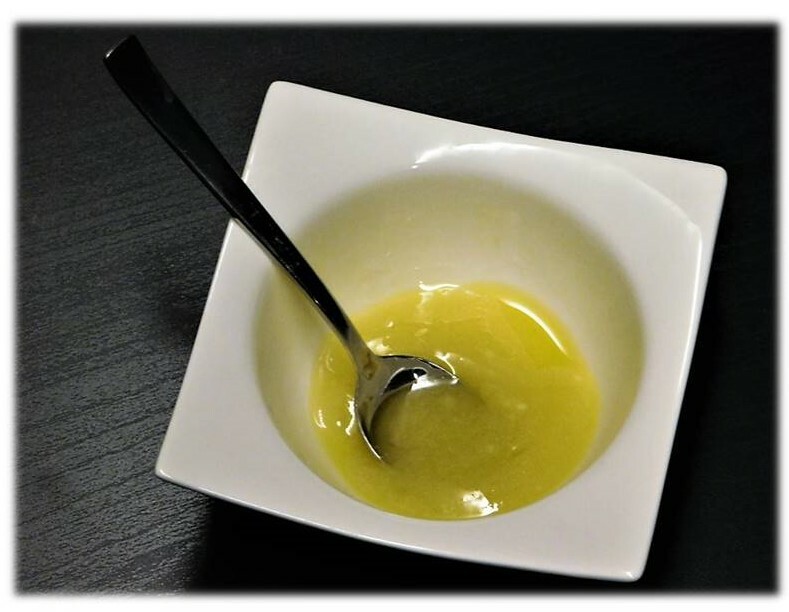 Olive oil also helps to repair your skin, promotes elasticity, and reduces blemishes. 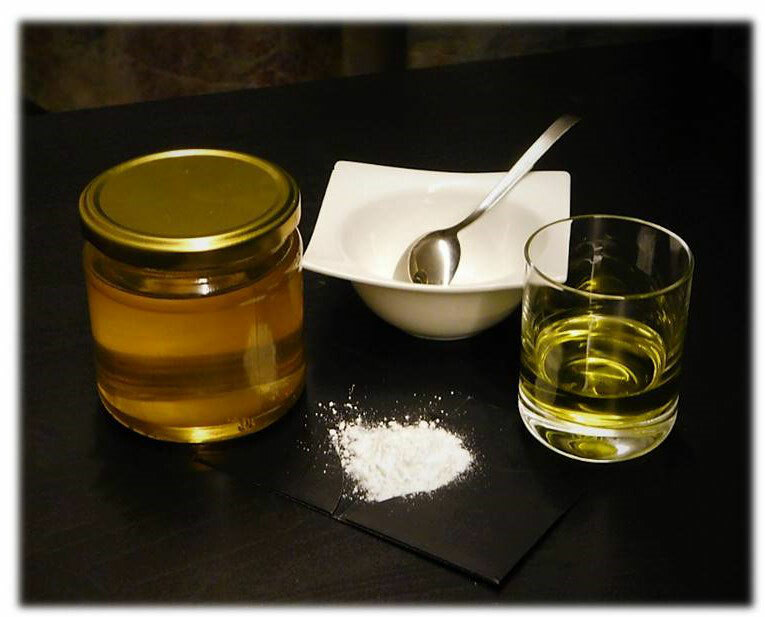 While honey fights off bacteria, tightens your skin pores, protects your skin from sun damage, and premature wrinkling. The baking soda works as a gentle exfoliating agent removing dead skin cells. Furthermore, it reduces redness caused by breakouts and boosts circulation. 1. 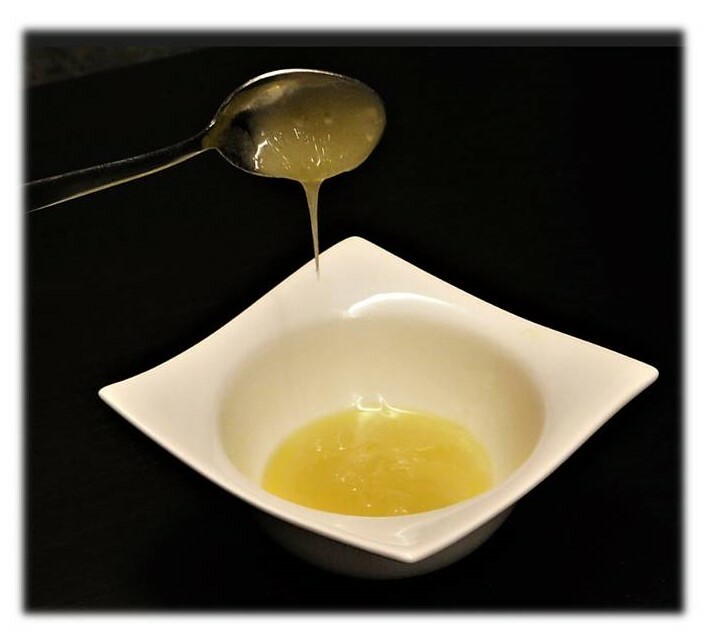 Put a teaspoon of extra-virgin olive oil, one-half teaspoon of honey, and one teaspoon of baking soda into your bowl. 2. Mix the ingredients well to form a thin paste. If you prefer it a little bit thicker, just add more baking soda. That's it your face mask is ready for application. 1. Wash your face before applying the mask. Leave your skin slightly damp for better adherence of the mask. 2. Spread the mask on your face and neck in small circular motions. Leave on for 20-30 minutes. 3. Then rinse it off with lukewarm water. Tip: Afterwards, apply a face cream to lock in the moisture. To maintain the glowy complexion use this mask at least once a week. This is it from my side for this year. I hope you all have a great 2017 and keep dropping by on my blog. Thank you so much for all your feedback and support throughout 2016. See you in 2017. I'm very happy to discover this web site. I wanted to thank you for ones time due to this wonderful read!! I definitely savored every bit of it and I have you book-marked to look at new stuff in your website. Excellent goods from you, man. I have understand your stuff previous to and you're just extremely magnificent. I actually like what you have acquired here, really like what you are saying and the way in which you say it. You make it enjoyable and you still take care of to keep it wise. I can not wait to read far more from you. This is really a wonderful website. I am extremely impressed with your writing skills as well as with the layout on your blog. Is this a paid theme or did you modify it yourself? Anyway keep up the nice quality writing, it's rare to see a great blog like this one today. Howdy! This post could not be written much better! Reading through this article reminds me of my previous roommate! He continually kept talking about this. I'll forward this article to him. Pretty sure he'll have a good read. I appreciate you for sharing!